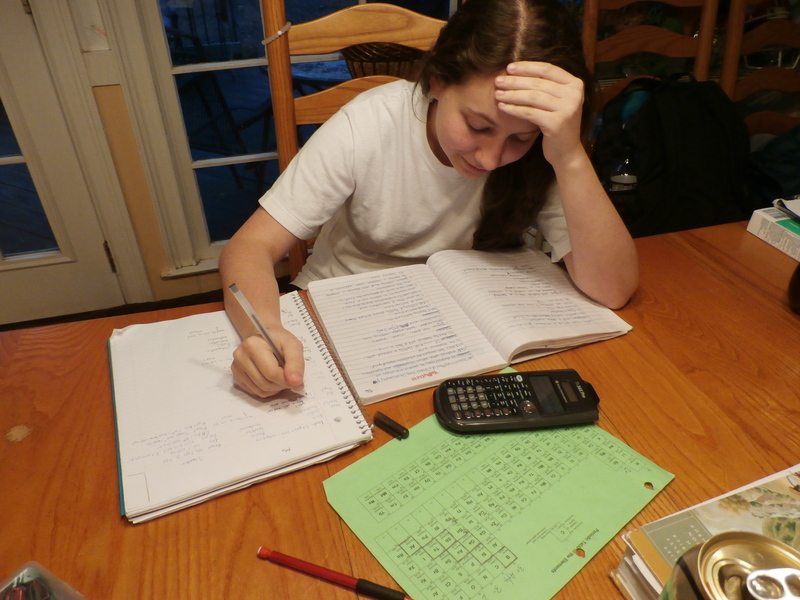 OPPOSING Views: Should homework be banned? Students should not be required to complete homework every night after school. Homework leads to increased stress levels, which can have negative effects on the body. Students who are given too much homework can end up staying up all night. Because they are deprived of sleep, this could result in the students sleeping in class to make up for their lack of rest. It is very ironic that giving students school work to complete at home often leads to them sleeping through their school work at school. Homework also takes up important time teachers could be using to instruct and grade more important work. “I think homework is a waste of time because teachers have to waste their time grading it and we have to waste our time stressing about it and we never actually do anything about it in class,” says sophomore Ilene Tuck. Extracurricular and athletic activities are just as important to students’ mental health as having friends. Many students are punished for not being able to complete their homework, even though they have many extracurriculars that take up all time outside of school. “I think that our sports and extracurriculars, along with our other classes, should be taken into account when teachers give homework,” says freshman Rebecca Boyd. The best option for both students and teachers is to offer a small amount of homework that is not mandatory. Homework is designed to benefit the student by offering them additional practice on topics learned in class. If the students has fully grasped the concept and does not personally feel they need extra work, they should not be forced to waste valuable time on homework. “It is my belief that it is the responsibility of each individual to keep up with their classwork. When teachers assign required homework, it is often a lose-lose situation for both parties. Students may feel like they are being asked to perform repetitive tasks when they have already mastered the material; meanwhile, teachers are tasked with grading an abundance of assignments. Recommending assigned problems allows students to work on the problems without the stress of keeping up with due dates or practicing concepts which have already been mastered while simultaneously allowing teachers to focus their efforts where they are most needed,” says North Springs math teacher Lianne Lewis. Sure, not having homework sounds like a wonderful idea and even rational to some. If you look at the idea of homework reasonably, its obvious to see homework is completely necessary. Several studies have shown and proved assigning homework improves grade stability. Not only is homework important for practicing and understanding material but it is also important in teaching students certain life skills. Homework, even though some don’t notice, teaches the importance of time management, deadlines, priorities, and more. Most students usually have a fair amount work in a week of school and through time management you set strict boundaries on when you must work and when you can take a break. With this work comes deadlines which, if you have a job, is very common throughout your entire life. One must also have their priorities set when given work. You need to know when you have time to do what you want and when you just need to focus and get your work done. An anonymous teacher said,”I think banning homework would be a horrible desicion. Homework, in a way, forces students to learn the material and by taking it away we would see students grades go down remarkably.” In addition to all of this, students only have a fairly short amount of time per class period and with this time some teachers may not be able to cover all that they need to give for that particular lesson. This is where homework comes in, it is also a good review for daily lessons and practice makes perfect. Senior Miranda Corless says,”Yeah, of course homework is needed. I mean sure there are times when I hate it but I know its extremely helpful.” It’s like anything, when playing a sport you must practice over and over until you get something down, this is just like homework. Going over a couple problems in class is usually not enough, by giving gout several practice problems students get the material down much better. Many students would disagree on the fact that homework should not be banned but it needs to be looked at rationally. Yes, homework may cause conflict between students and their parents but this can usually be solved by time management and set priorities. ← What are cross curricular assignments and are they needed? homework’s for nerds. school smeels. It wouldn’t be so bad if every class didn’t give homework. Only one class should be allowed to give homework each week.